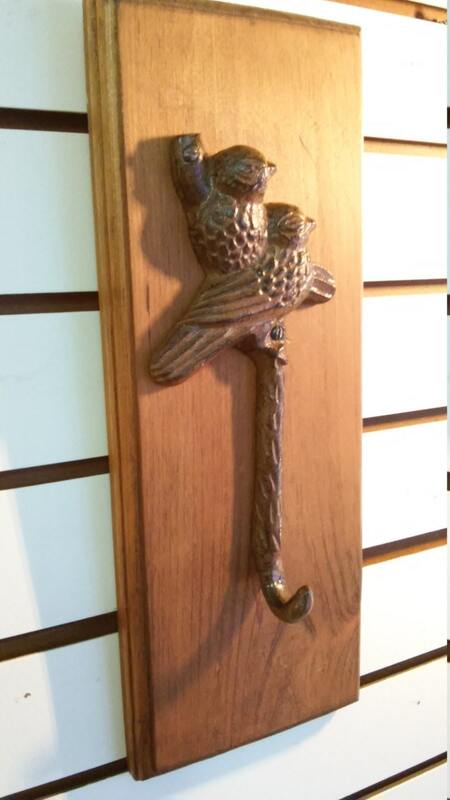 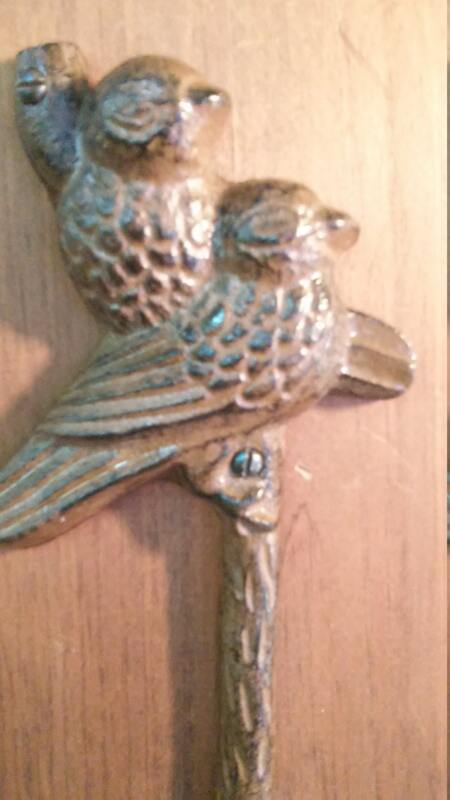 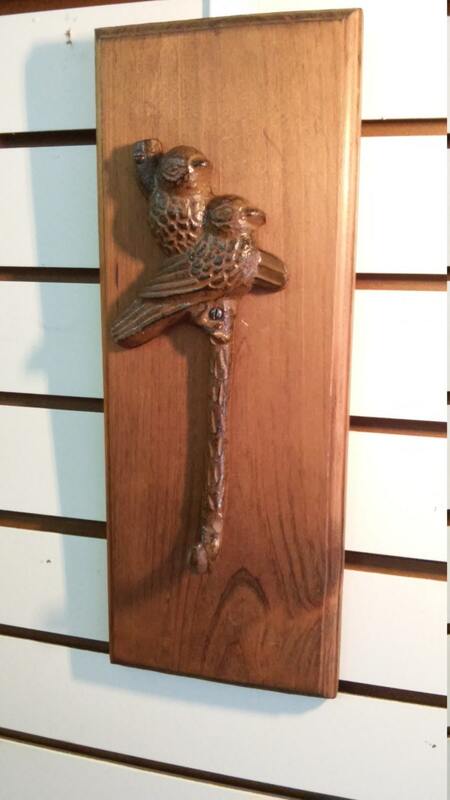 This vintage cast iron hook has a pair of birds nestled together. 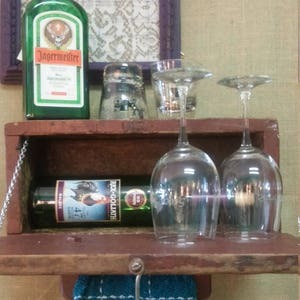 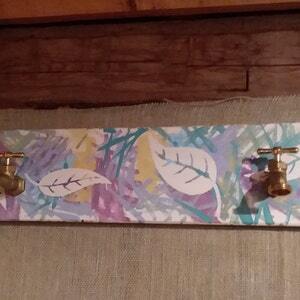 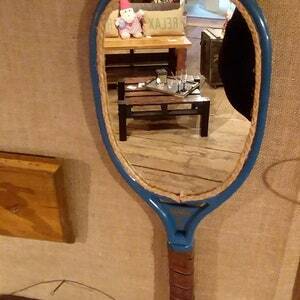 It is mounted on a stained board that hangs on the wall. 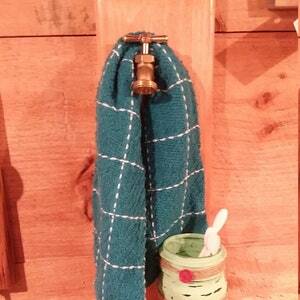 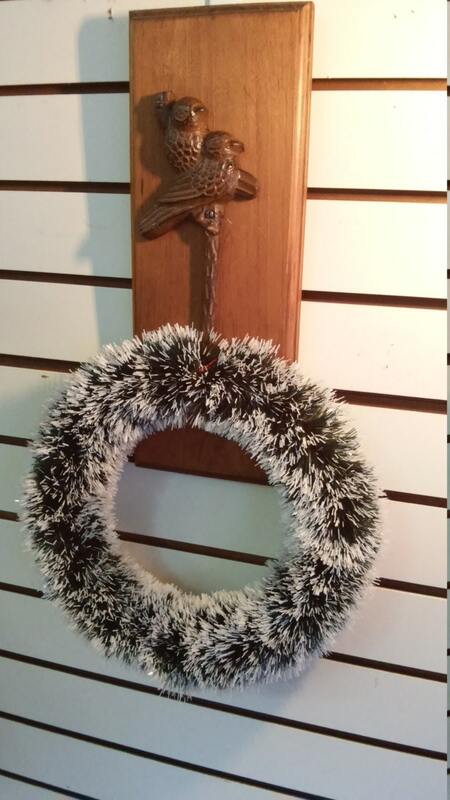 A great way to hang and display your holiday wreath or stocking.